Beth Kanter has got me thinking more about screencasting since I wrote my post on Quick Tips for Improving Screencasts because Beth loves Jing while I have mixed feelings. As Beth is way more experienced at screencasting, and my background is scientific research (yes I have kept that quiet), the only option was to investigate Jing deeper. The Jing Project by TechSmith is currently allowing people free use of Jing and their web-hosting service screencast.com to capture images (and add notes to the images) or record it as a screen cast which you can then share free online at screencast.com. It does not change or diminish the resolution of your content which means the quality of the screencast is far superior (check out this screencast hosted on Google Video with this created with Jing). This means you could easily record the entire desktop and viewers would still be able to read the text in the screencast. To use you need to download both Jing and Microsoft .Net Framework 3.0. Some organisations are not keen on installing Microsoft .Net Framework 3.0. 2. Screencast is saved as .swf format. 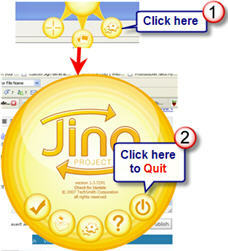 The whole idea of Jing was they wanted to keep it very simple for very fast sharing of content. Unfortunately .swf is the hardest format to convert to another video format — which you need for: editing with MovieMaker, iMovie or Camtasia Studio); embedding in PowerPoint presentations; or playing on a mobile device. Trouble is people often do not realise the .swf format is an issue until then need to convert. Here is Jing Projects explanations for why they have limited file format — read the comments and you will see many have an issue with this format. 3. Will it remain free? Camtasia Studio 3.1.3 – Download a free copy of Camtasia Studio 3.1.3 here and request the free software key here (this will register your copy as a fully licensed version). SnagIT 7.2.5 – Download a free copy of SnagIT 7.2.5 here and request the free software key here (this will register your copy as a fully licensed version). These are older versions of both software — which is not an issue for me with Camtasia Studio because I have not used it a lot but SnagIT 7.2.5 is nowhere near as good as the current version. While making the application easier to use — they failed to make it obvious that you need to quit the application 🙂 (probably a Sue thing). Refer to diagram for how to shut down. Camstudio records as .avi whereas Camtasia Studio can produce movie as AVI video , MOV (QuickTime Movie), WMV (Windows Media video) and Flash (SLV/FLV format). Means easily converted for mobile devices and easily edited to remove bits you don’t like. You will need to used fixed region, autopanning and certainly worth considering using use zoom/pan (as suggested by Beth) to optimise quality of screencast. None of this is required with Jing hence screencasts are tricker and slower to create using these two applications. But hosting on sites like YouTube and Google video means you can embed easily in blogs which is not possible with Jing. Thanks Michele Martin for starting this conversation on screencasting even though the topic was originally on Evolution of a blog post (this is a good example of evolution 🙂 ) and thanks to Beth for sharing your expertise – check out Beth’s great screencasting wiki (especially her detailed sections: screencasts , resource list, examples of screencasts). Would love to hear your thoughts on the pros and cons of the different free screencast software. I’ve recently been using the basic but very functional ‘Screencast-o-matic’ from http://screencast-o-matic.com/ for quick training screencasts – particularly when I’m not working at my computer. It’s javabased – so runs easily from the browser with no installation. It seems to playback screencasts online through a java-based player also – which can be a little tricky when sending a screencast over to someone whose computer isn’t set up with Java – but, it also offers an MPEG export. Fixed area recording only – but I find it I set up to 800×600 and set the recording area just over the significant area of the application I’m using (e.g. just the webpage itself if recording a screencast about using a web-based tool – and not all the menus / button-bars) then I can get good quality with plenty of space. We got some budget $ to buy Camtasia Studio and really like it. I’m impressed by the features of the latest release, too, though I’m not sure if we can upgrade. Thanks Tim for reminding me about Screencast-o-matic.com — I did road test it several months ago but definitely worth a re-visit. Hi Corrie – I also have to say I am very impressed with the version of Camtasia Studio I downloaded. I find it easy to use because I am used to using a range of video editing programs. But previously when I tried it (maybe 6 months ago) I did struggle with it (later version I think). I’m the founder and primary creator of freescreencast.com. Our screencast recording software is free. Yes, it requires .NET 2.0. Yes, I agree that is a barrier. However, windows update has brought most machines to that level. Did I mention it was free? Oh, did I mention you can upload to our site and host your screencast for free? No limits on either bandwidth or storage. We -want- you to share your knowledge. And from our site you can embed the cast into your site or blog, just like youtube. Oh, you don’t want to share? Fine! You can use our free software and save either a WMV or FLV, in either the Microsoft or Adobe screen codec, ready to go. We don’t mind. Use our software. Create screencast. More than anything, we believe two things: screencasting is going to be big, and information wants to be free. We’re the free part of that. Maybe I wasn’t so clear. I love both – it isn’t an either/or. 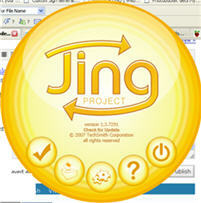 Jing is great for on the fly- micro screencasting – or screencasting as tech support or quick documentation. Camtasia is better for more formal screencasts – because of everything you mention. I like having both of them in my toolbox. What I found liberating, was the 5 min limit for Jing and discipline to do one take – because of the lack of editing feature … which helped me be more succinct. So, they both have their place ..
Actually you can easily embed videos with Jing – there’s an option to do so from the share menu, and you can also get the code by visiting your Jing folder on your screencast.com account. Hi Jason – thanks for telling me about freescreencast.com I will give it a more thorough road test when I am on holidays. Hi Beth – if anyone was not clear it would be me. I know that you like both. It was more of a case I was less into Jing and you liked it so there must be a good reason why you do like it. Hi Paul – bad wording in my case. I have easily embedded Jing but can’t embed it in my Edublogs blog due to the nature of my blogging platform.